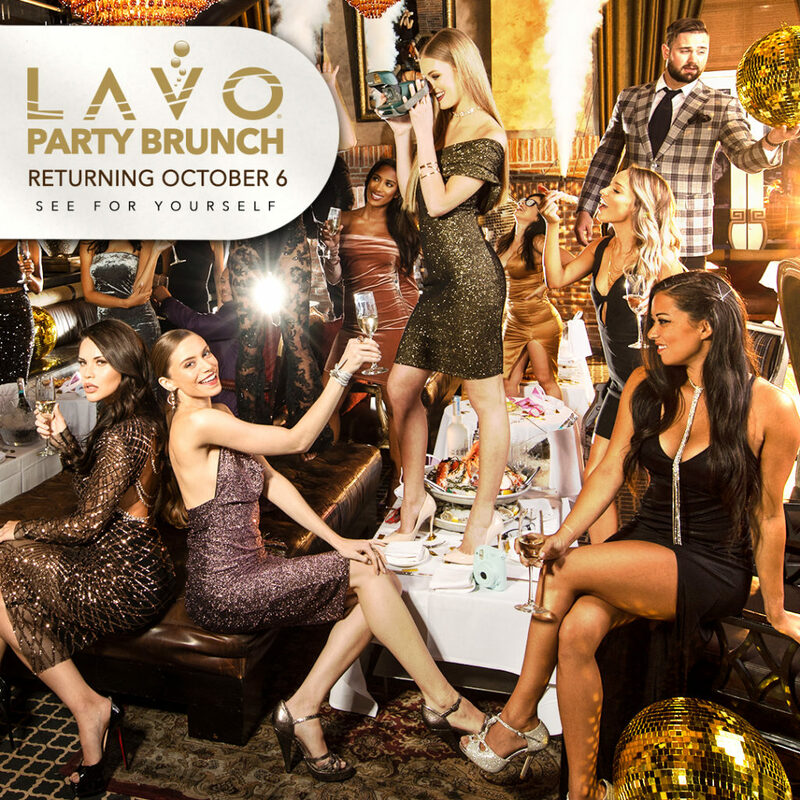 From Fall to Spring, LAVO’s famed Party Brunch provides the ultimate daylife experience. Originating at our sister location in New York City, TAO Group pioneered the wild afternoon affair, later introducing LAVO Party Brunch to The Palazzo Las Vegas in 2011. This signature event features an indulgent food menu, an expansive selection of Champagne and a variety of large format bottles, with music to keep the party going from resident DJs and Special Guests. Beginning with an immersive restaurant atmosphere, the room then seamlessly transitions into an explosion of confetti showers and wild bottle-popping presentations, including an array of characters that aren’t your usual suspects. Partygoers let loose and dance the day away, either enjoying a main room experience or living it up on LAVO’s new Rosé Terrace, which presents one of the best views of The Strip!